Virginia- Unlawful firearm discharge means negligent discharge | Jon Katz, P.C. Most crimes cannot be proven merely by committing the act — known as actus reus — but also require proof of criminal intent, known as mens rea. 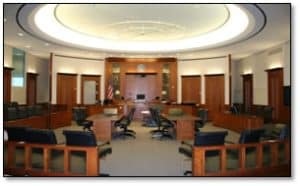 Generally, one of four levels of mens rea is required before a conviction may be obtained, namely purposeful, knowing, reckless or negligent intent. “If any person maliciously discharges a firearm within any building when occupied by one or more persons in such a manner as to endanger the life or lives of such person or persons, or maliciously shoots at, or maliciously throws any missile at or against any dwelling house or other building when occupied by one or more persons, whereby the life or lives of any such person or persons may be put in peril, the person so offending is guilty of a Class 4 felony. In the event of the death of any person, resulting from such malicious shooting or throwing, the person so offending is guilty of murder in the second degree. However, if the homicide is willful, deliberate and premeditated, he is guilty of murder in the first degree. Fortunately for Bryant, after returning a guilty verdict, the jury set no period of incarceration and set a fine of zero dollars. By not even recommending any fine, it sounds like the jury either felt discomfort about convicting Bryant in the first place, or else felt that she had gone through enough in her progression from going to the hotel to commit suicide and then changing her mind. In any event, with Virginia’s firearm laws being very protective of the right to bear arms, Bryant is a clear message to all firearm owners to assure that they safely handle and store their firearms.